Please enable Java in your browser. Originally commissioned by Dahlson Halidone and maintained by subsequent owners. 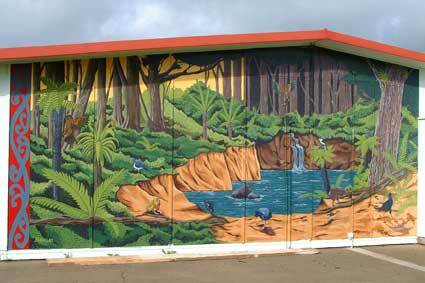 Commissioned by the Coley Street School, the mural features ten of New Zealand's native birds including the Pukeko, selected as the school emblem when the school opened in 1967. This mural is no longer open to view as the school has built a new library on the site of the original building that housed the mural. 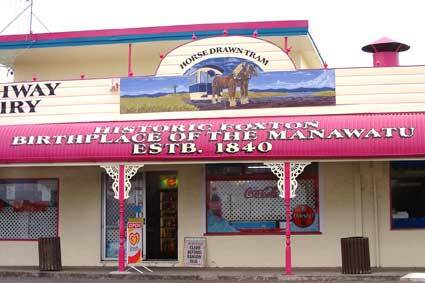 Horowhenua District Council in association with the Foxton Murals Committee.